Catch your career wave with speakers from across industry and education. A panel of three speakers will speak for 20 minutes each, with a Q&A to follow. Dr Tomas McGuinness studied Medicine at NUIG. He is a past student of Summerhill College. He has worked in New Zealand and in a number of Irish hospitals. He has also volunteered in Africa. He currently works in a busy GP practice in Co. Mayo. Caoimhe Ní Mhurchú graduated from Trinity College in 2001 and spent her pre-registration intern year in Letterkenny Hospital. After registering with the PSI she commenced work as a clinical pharmacist in St Columcille’s Hospital, Dublin in 2003. A year later she travelled to New Zealand and worked in a small rural hospital in Nelson as a clinical pharmacist. A brief period of time working as a community pharmacist in Monaghan town followed on her return to Ireland. In 2007 she began working in Sligo University Hospital as a pharmacist in the busy Oncology Service. Working as part of a team in Sligo has seen her rotate from Oncology to Surgery and General Medical specialties. Caoimhe has a keen interest in Lifestyle medicine, and has a diploma in Nutritional Therapy, a degree from the Institute of Physical Therapy and is a qualified Yoga Teacher. Head of Department Nursing, Health Science and Disabilities Studies. R.G.N. ; R.N.T. ; BNSc; Hons (TCD) MScN; Education(UCD) EdD; P.G. Dip in Management and industrial relations (NCIR) Diploma in teaching and assessing (Royal College of Surgeons) Critical care courses (North Shore Regional Hospital Ma USA). I qualified as a Registered General Nurse in 1986. My clinical background was mostly in the critical care areas where I worked as a nurse and nurse manager in the UK, North America and Ireland. I moved into Nurse Education in 1998 and as a Nurse lecturer and course coordinator I have taught, devised and managed undergraduate and post graduate nursing courses. I am currently the Head of Department of Nursing, Health Science and Disabilities studies at St Angelas College NUIG. I am passionate about nurse education and the profession of nursing. I believe nursing is a profession that contributes powerfully to the health and wellbeing of the population, by utilising its professional knowledge, skills, altruism and practical wisdom in clinical practice. To this end I am an advisor and part of expert groups in the Nursing and Midwifery board of Ireland setting national standards for the education of nursing students. I have many teaching and research interests and am currently leading up on an European research project focusing on intercultural nursing care. Apurva currently works for Overstock Ireland as an Intern while also studying for her Masters in Computer Science in UCD. Apurva has 3 years' experience working in IT industry prior to her move to Ireland. Apurva's interest in Computers Science sparked at an early age when trying to fix her family computer after having deleted all its system files! Apurva loves being fulfilled by the creativity of a software engineering career. "Eamon is a proud Sligonian and attended Summerhill College after which he worked for a number of years in retail, Having a feeling of unfinished business with education, Eamon returned to IT Sligo at the ripe age of 24, He completed the 4 year Bsc.Hons in Computing Science, which was a holistic course covering a wide range of areas within IT. 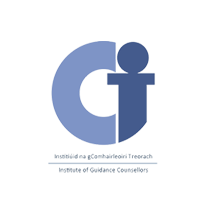 The course gave a great foundation for working in the IT industry. Since graduating from IT Sligo Eamon has worked in ICT with the national Health Service Executive in Ireland for over 15 years. Involved in the successful delivery of various regional projects and national projects, Eamon is now working on international projects also. A patient centred focus is of paramount importance, with a vested interest in the delivery of a robust eHealth architecture utilising interoperability standards. Current focus is on the Irish delivery of the the EU Cross Border services for Irish citizens abroad in need of medical attention; whereby Health Care Professionals can access the relevant data for the Irish patient in an unplanned encounter and deliver better care within any of the EU the Member States"
Joe Dunleavy is an Executive currently working for Pramerica System Ireland Ltd. a fully owned subsidiary of Prudential Financial, Inc. (NYSE: Pru) based in Letterkenny, Ireland. Pramerica offer a wide range of career possibilities, including software engineering and ethical hacking, actuarial services and data analytics, business analysis and customer support. Joe has worked for Prudential for 13 years based in both Letterkenny, Ireland for over 10 years as well as in the US on a 3 year international rotation. Before that he worked in an IT startup company called Nooked in Sligo, Ireland and Microsoft at their European Development Center in Dublin, Ireland. He is also a Microsoft Certified Application Developer (MCAD) for .net. Lorraine Murphy, B.A., L.LB, L.L.M., is a qualified Solicitor, with eighteen years experience in general private practice, having also worked as a Tutor on the Professional Practice Course for Solicitors in the Law Society of Ireland for over ten years. Lorraine is currently lecturing Law on a full time basis in the School of Business, I.T. Sligo. She completed an undergraduate Bachelor of Arts degree in English and Legal Science in 1995, followed by a post graduate L.LB degree in 1997 from NUIG. After returning from a short period of travel, during which Lorraine worked for the Australian Government Solicitor in Sydney as a paralegal, she decided to pursue a career in Law. She was offered a Solicitor's Apprenticeship in Sligo Town in 1999 and went on to qualify as a Practising Solicitor from the Law Society of Ireland in 2001. She has recently completed a Masters degree in Advanced Legal Practice through Northumbria University in Newcastle in association with the Law Society of Ireland. Fania Ellison. I am currently working as the regional coordinator for Business action on Education in the Mayo/Sligo region for a Corporate Social Responsibility network called Business in the Community. My role involves getting significant local businesses and organisations to come into schools and give students insights into the world of work. The idea is to help students see what skills you need in the workplace and how you go about getting a job and finding the right career. I also manage the Time to Read programme nationally getting employees to volunteer to help primary school children with their reading. Before this I have worked as a teacher, a journalist, in venture capital and for seven years I was a barrister in London working in a set of Chambers and specialising in Crime, employment, landlord and tenant, family and immigration. I went to university in the UK and worked there until I moved over to Mayo 15 years ago with my family. I am interested in current affairs, education, social justice, climate change and in how we can all do our bit to make the world a better place. I retired as a District Court Judge on 31st October, 2018, having served on the Bench for 20 years, initially in Dublin and thereafter in County Mayo, dealing with all aspects of law: criminal, adult and juvenile; civil; family law and child care cases. Before my appointment to the Bench I practised as a solicitor, firstly in County Kildare and thereafter in Sligo. I ceased practice for some years while my children were of pre-school age. During that period I became President of the Sligo French Circle and Chairman of the Irish Council European Movement N.W. Branch. I also did some part-time lecturing in law in what is now the Sligo Institute of Technology, and was a member of Sligo Hospital Research and Education Foundation. On return to practice I was appointed as Vice-Chairman of the Valuation Tribunal, subsequently Vice-Chairman of the Rent Tribunal and I served for a term as a member of the Criminal Injuries Compensation Tribunal. All of these were quasi- judicial, part-time positions on statutory tribunals and I continued in practice until my appointment to the Bench in 1998. Trevor McDaid studied Architecture at the University of Humberside in Hull in the UK and obtained his Postgraduate Diploma in Architectural Practice (RIBA Part III) 23 years ago in 1995. He became a member of the Royal Institute of the Architects of Ireland in 1997. Trevor joined Hamilton Young Architects Sligo office in 1999, having previously worked in private practice in Belfast, Letterkenny and Sligo. He became an Associate Director in Hamilton Young Architects in 2001, and was made a Director in 2005. Hamilton Young Architects are one of the leading architectural practices in Dublin and Sligo and are one of the few Grade I Registered Conservation Practices in Ireland. Trevor currently has overall responsibility for the firm's education projects, as well as being involved at a senior level in all other aspects of the practice's work including residential, commercial and office developments. Trevor is also a qualified Project Supervisor Design Process (PSDP), and carries out this additional role on some of the firm's projects. In his spare time and to clear his head, Trevor enjoys running and swimming! Trevor was the President of Sligo Chamber of Commerce in 2013. Emer Concannon, Chartered Engineer, Senior Engineer, Sligo County Council Emer Concannon is a native of Sligo and holds an honours Civil Engineering Degree from NUI Galway and an MBA from Dublin City University. Emer currently leads the Sligo National Roads Project Office in Sligo County Council, dealing with the development of all National Road Projects. Throughout her career, Emer has worked in a diverse range of Civil Engineering areas including Road Design, Road Maintenance, Environment, Sustainable Transport, Water Services and Parks & Recreation. A project Civil/Structural Engineer at Jennings O’Donovan Mark has an Honours Degree in Civil Engineering from NUI Galway. He is currently studying for a Masters Degree in Structural and Foundation Engineering. Mark has been responsible for the civil and structural design of numerous residential, commercial and industrial developments. He is currently the lead project engineer for the civil and structural design for a major 220kV Electrical Sub-station being constructed to support a large Data Centre on the outskirts of Dublin. Hi my name is Ger, a Doctor/Consultant Psychiatrist specialising in Older People’s Mental Health in Sligo since 2001. As Dean of Sligo Medical Academy, I organise the Medical Student Clinical training in Sligo for NUI Galway students, up to 70 per semester rotating through all hospital/GP specialties. 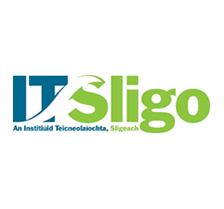 We have lectures/tutorials/1:1 teaching here and students can sit exams in Sligo. I trained in UCD and then worked in Dublin, Mullingar and Galway in Medicine, Paediatrics & Obstetrics before going to Australia working in Emergency Medicine (City & Outback) and in Forensic Psychiatry. I finished my Psychiatry training in Dublin, Cardiff and Bristol, completing my Doctorate in Genetics before I came to Sligo as a Consultant. I trained in Psychotherapy as a Cognitive Analytic Therapist and in 2013 did a Diploma in Clinical teaching. We run research programmes on Delirium, Carer burden and Brain Health/Diabetes. I also train doctors to become Psychiatrists. I love my job, love living in the West of Ireland with my husband and 3 children where we can make the most of the outdoor lifestyle here, especially sea swimming and (very slow) triathlons. I hope you all find a career that you love! Sarah is a Clinical Specialist Physiotherapist currently working in Musculoskeletal (MSK) Triage for Orthopeadic and Rheumatology Services in Sligo University Hospital and the Northwestern Regional Rheumatolgoical Centre based at Our Lady's Hospital in Manorhamilton, Co. Leitrim. Alongside this Sarah has also completed a term as National Lead Physiotherapist for Planning & Performance of the MSK Initiative on behalf of the Clinical Care Programmes in Rheumatology and in Trauma & Orthopaedic Surgery. Sarah is also currently co-chair of the ISCP Steering Committee for Advanced Practice in Physiotherapy, who are striving to support physiotherapists in Ireland to advance their practice in various specialities in line with international models of care. Sarah's career path to date has included physiotherapy in the public and private sectors. Her private practice focus was predominantly on sports physiotherapy, which included 9 busy years as team physiotherapist to Sligo Senior Mens GAA team (the better years!!). In the public health sector, Sarah has worked in Acute and Primary Care services predominantly in Orthopeadic or outpatient roles. She has also lectured in UCD on the Physiotherapy and Performance science course, as well as in IT Sligo on the Health Science & Physiology and Health Promotion Courses. Clincial areas of particular interest are: LSpine, knee and Shoulder, as well Patient Compliance with self management and home exercise programmes for chronic conditions. Outside work, Sarah is a wife, and a mum to 4 beautiful but lively children, aged from 4 to 11 years, so life is full and busy but good. Mental health is preserved by Music and Choirs, Running and Exercise and Good friends. Over a 20 year period Dara has transitioned between careers as a radiographer and a players representative with the Gaelic Players Association, currently working as a radiographer. From initially achieving a general healthcare (Applied Physiology and Health Science) qualification, Dara specialized in radiography and spent his early years in this field. Looking for a change after 7 years, Dara joined a group that he was very passionate about and gave his time to establishing the players representative body for inter county Gaelic players - a recently established association at the time. Returning to Sligo prompted a return to radiography and it allows Dara time to enjoy his other career interest - teaching yoga. Changing career and Specialising in different areas can ensure a career path remains challenging and interesting - and keeps a passion in you me work, something that makes work something to look forward to..
Kieran Hannan is Senior Vice President Technical Operations of Milestone Aviation, overseeing new aircraft deliveries, fleet operations for over 300 helicopters and technical oversight for the global leader in helicopter leasing. Kieran has over 20 years of experience in the helicopter industry including senior roles with Operators, Distributors, Lessors and MRO services providers. Prior to leading Technical Operations for Milestone, Kieran served as Vice President and General Manager of Precision Aviation Group (PAG) and been responsible for the Canadian Division encompassing Fixed Wing and Rotorcraft Component Sales, Customer Support, Logistics and Operations. He was also a member of the PAG Group executive leadership team and the Transport Canada Accountable Executive. Kieran has also led the Commercial and Customer Support Department at Heli-One Canada for four years, his global team were responsible for all internal and external MRO support bids, PBH agreements, dynamic component work and pricing. A graduate of the University of Limerick, Kieran holds a bachelor's in Aeronautical Engineering and he is originally from Gurteen, Co Sligo. Hi my name is Michael Feehily and I work as an Air Traffic Controller with the Irish Aviation Authority. I am currently based at the En-Route centre in Ballycasey, Shannon Co Clare. I have been there since 2002. I am a past pupil of Summerhill college and IT Sligo. My qualifications are in Construction Economics and Quantity Surveying and I also hold an Irish pilots licence having flown for over 20 years on a number of different aircraft types. I am rated mainly as an area controller in Shannon where I work in high level, low level and flight information. I also conduct instructor duties which can range from ab-initio students who join from day one to on the job training and revalidation of senior controllers with many years of experience. I find ATC is a challenging but rewarding carrier choice. No two days are the same in ATC which can be due to weather, diversions, emergencies, delays etc. This can keep you busy but at the end of the day you know you have helped someone out and got the passengers and crew to their destination safely and efficiently as possible. My name is Sean Redahan and I currently work as a helicopter pilot for the Irish Coast Guard. I am originally from Sligo and I am a past pupil of Summerhill College. I attended the school from 1989-1994. After leaving school I got an apprenticeship through FAS (renamed SOLAS) as an aircraft mechanic with a company based at Shannon Airport called Shannon Aerospace which was owned by Lufthansa airlines.On finishing my apprenticeship I left Shannon Aerospace and worked as a contract aircraft mechanic with different companies around Europe. In January 2002 I obtained a J1 visa to allow me to go the United States and train to be a helicopter pilot. After I completed my training my first job was with a company based in Texas Returning to Ireland in 2005 I flew a number of privately owned Helicopters based in Dublin and around North West. I joined the currently company I work for CHC helicopters in 2007. My first role with them was as an oil/gas pilot working in Ireland and the UK, then in 2010 I got a position as a Search and Rescue pilot based back in Sligo. Ruth Wood-Martin is the IRFU Performance Nutritionist. A graduate of Dublin Institute of Technology and the University of Coleraine, she has over 20 years work experience in the field of nutrition and dietetics. She is a Registered Dietitian (RD) and Sports and Exercise Nutritionist (SEN). Her main focus of work is with the National Senior squad and also includes education of younger players in the U18s, U19 and U20s squads. Prior to taking up this post with the IRFU in 2006, Ruth's work included consultant nutrition services to the Sports Institute Northern Ireland, the Irish Women's Hockey squad and Irish Ladies Golf Union. Sean Flannery is a past pupil of Summerhill College. He played professional soccer with Sligo Rovers for a number of years. Sean returned to UL as a mature student and studied sports science. He works as a strength and performance coach. He is heavily involved in organising summer activity camps for students. He has recently opened his own gym in Rathcormac, Co. Sligo, a fantastic resource for the local community. Cathal Cregg was appointed as Provincial Coaching and Games manager for Connacht GAA in April 2018. He is responsible for promoting and overseeing the objectives and policies of the GAA nationally and provincially to ensure that they are carried out to their maximum potential. Cathal has previously worked as Head Strength & Conditioning Officer with Connacht GAA for 5 years having qualified with a Sport Science Degree, a Research Masters in Exercise Physiology and is currently completing his PhD. He is also a GAA Award 2 coach and a qualified Tutor. Michael Reid is age 36 and is from Keash, Co. Sligo. He is a qualified carpenter/joiner. Michael was in Sligo ETB for phase 2 of his apprenticeship and was also in Sligo IT for phase 4 & 6. Michael started his apprenticeship at 18 years old with John Sisk and son in Dublin for 1 year. He then changed his employer after year 1 and completed the remainder of his apprenticeship with Fergus Taylor from Ballymote, Co Sligo. While Michael was an apprentice, he competed in the national skills competition in joinery in 2004 and achieved first place, winning the competition for that year. After receiving his craft certificate in carpentry joinery and aged 22 years old, Michael became self-employed and has built up his business from then and is currently self employed to this day. In 2015 he started working part-time in Sligo ETB, teaching apprentice carpenter/joiners. He has also briefly worked in Sligo IT in carpentry/joinery also. Gerry Ryan is a 1st year Manufacturing Process Engineer apprentice in Abbott Diagnostic Sligo(ADD). Prior to entering the apprenticeship, He worked as an Diagnostic Assistant with Abbott. He have worked as a Maintenance Technician with GSK Sligo. I have over 15 years welding/fabrication experience. I have worked throughout Ireland, England and Australia. I was part of the first year Leaving Cert Applied Programme(LCAP) in Summerhill College in Sligo. I attended Fas Training Centre in Co. Cork where I qualified as a coded welder. I am currently on my first block release in IT Sligo. Oliver Lee is a Technical Competence Specialist involved in Technical Training and Development, with ESB Networks. Ollie has gone through the Apprenticeship route with the ESB himself in recent years. He will speak about the experience, the skills and the qualifications you need to succeed as an Electrician/Network Technician and will also give an insight into how the 4 year paid programme combines classroom based learning with practical experience. The ESB Apprenticeship programme gives an opportunity to enter into various different careers in an ever changing world. Paula Scallon grew up in Fermanagh. She completed a Degree in Hotel Management in Middlesex University, London and after obtained a diploma in Marketing through the Chartered Institute of Marketing. Paula has 25 year's experience in the hotel industry working in the leading 4 and 5 star hotels in London, Brussels, Dublin and Sligo. She moved with her family to Sligo 10 years ago for a better lifestyle and hasn't looked back! She has been working in the Radisson Blu Hotel & Spa for just under 6 years which is currently undergoing a €4.5m refurbishment programme. Joe Shannon is the executive chef of the Radisson blu hotel, Spa and leisure centre Sligo. He has been awarded many accolades, has travelled extensively, participating in all sorts of culinary delights.The Cassibawn Restaurant at the Radisson Hotel and Spa is AA Rosette accredited, Joe has won mouton cadet Sunday lunch awards, as well as been a founding member of the North West Branch of the Panel of Chefs and has also served on the National Executive of the Panel of Chefs of Ireland. Joe also works extensively with media; he is a weekly guest chef on Ireland Am, which is Ireland most watched breakfast morning t.v. programme, working with some very famous Chefs such as Paul Hollywood, John Torode, John Burton Race and Antony Worrall Thompson to name just a few. He also has worked on tv3s “Three O Clock show”. Anthony Gray is a Sligo native and always viewed Sligo as a foodie town that was crying out for its local produce to be championed. He knows all his local suppliers and producers on a first name basis, personally knows the cheese makers, fishmongers and supports local businesses and local artisan suppliers. With his deep appreciation for seasonal food, Anthony attends the farmers market every Saturday and forages for wild ingredients for use in his restaurants. Anthony opened two multi-award winning restaurants in quick succession; Tra Ban opened in 2009 in Strandhill and Eala Bhan opened in Sligo Town in 2011. During 2018, he opened Hooked restaurant in Sligo Town. Maeve McGowan is from Sligo and works as Marketing Manager at the Hawk's Well Theatre promoting over 250 events at this busy venue year round. Maeve has a BA in International Marketing and Languages from Dublin City University. She trained with the Gaiety School of Acting before completing an MA in Theatre Studies from DCU. Maeve's career started out in marketing with IDA Ireland and she has worked with a variety of marketing agencies and companies before moving into the Arts world where she has worked for the Gaiety School of Acting, Royal Irish Academy of Music, Draoicht in Blanchardstown and now the Hawk's Well Theatre, Sligo. Daragh is a native of Donegal and has been living in Sligo with his wife Amy and their two children for the for the past 17 years. A graduate of IT Sligo, Daragh attained his BA in Business (Marketing) in 2008 and then moved to industry to work for global healthcare company Abbott, in their diabetes division in Donegal. Now in his tenth year with Abbott, Daragh has held roles in operations, human resources, global citizenship and more recently moved to the role of Corporate Social Responsibility and Communications Manager for Ireland. Daragh attributes the experience of having worked in multiple roles and sites across Ireland, in addition to the opportunity to travel both nationally and internationally as a key success factor for his role within Abbott. From his experience working for Abbott combined with having two kids in primary and secondary education, his talk will focus on encouraging and helping students discover and understand the vast opportunities that are available in the locally and nationally, particularly in STEM careers. He will also be addressing the importance of developing the “softer skills” which he feels are key in industry, and will discuss some tips on how to build them. Tommie Gorman is a well known Irish journalist. He is an past pupil of Summerhill College. He has worked for RTÉ News and Current Affairs since 1980. He is currently the Northern Ireland editor for RTÉ.He is known for his personal interviews with figures such as Seán Quinn, Gerry Adams and Roy Keane, the latter following the 2002 Saipan incident. Austin O'Callaghan is a sports journalist with 20 years experience in broadcasting. Through working as a Senior Broadcast Journalist with Eurosportand EuroNews in France and BBC Northern Ireland between 2002 to 2013, he has reported from several key international sporting events that include: two Olympic Games, Commonwealth Games and a Cricket World Cup. Today, he works as a Freelance Broadcast Journalist for BBC and RTÉ – and also provides media training in his hometown of Sligo. Austin is currently working with Ocean FM. Few people know that the world's first modern war correspondent came from Tallaght, Co. Dublin. The story of William Howard Russell and his exploits covering the Crimean War for the London Times gave my then 12-year-old self goosebumps and a lifetime's fascination with stories. In 1992, I somehow managed to follow Russell into Times Newspapers in London and was lucky enough to spend five years there, soaking up the kind of frontline experience a young journalist could only dream of. Stints at The Sunday Telegraph and The Scotsman followed. As a witness, reporting and writing for newspapers gave me experiences I will never forget. These include assignments in Africa, covering the 1999 Kosovo war and a US presidential election. Oddest experience? I once ran around a field with Robert Mugabe. As Deputy News Editor of The Observer, the world's oldest Sunday newspaper, I was part of the team that responded to the seismic shock of 9/11 and the subsequent wars in Iraq and Afghanistan. In Ireland, my senior management roles included 10 years at Independent News & Media, first as News Editor of the Sunday Independent and then as Associate Editor of the Irish Independent, responsible for Saturday features content and special supplements. I'm now Content Editor of StoryLab. George Mullan is the founder and owner of SIS Group, a manufacturing and sports construction company with offices in Europe, Asia and Africa. George's background is as a turnaround specialist and he has completed turnarounds in South & North America and Europe for a major US multinational. He is a private investor in start-up companies in Ireland & the UK covering such areas as information technology, drinks, and sports protection. The SIS Group has constructed sports surfaces for some of the greatest names in sport across the globe! Their client list includes world renowned soccer teams such as Barcelona, Real Madrid, Manchester United and Juventus. SIS has recently completed 6 stadium pitches in Russia for the World Cup in 2018 including the Luzhniki stadium for World Cup Final. SIS Group employs 420 people and has offices in Russia, Turkey, UK, Ireland, Netherlands and Angola. SIS introduced SISGRASS a patented hybrid pitch system in 2015 and has completed projects in over 80 stadiums and training centres. SIS has opened a new factory in Maryport Cumbria which is the most modern artificial factory in Europe. George is a graduate from Trinity College Dublin and has MBA from the University of Bradford in the United Kingdom. Fergal Quinn was born in Sligo and went to Summerhill College. Fergal went on to study Maths & Economics in Trinity College followed by MSc in Econometrics & Mathematical Economics in London School of Economics. He also qualified as a Chartered Financial Analyst. Worked with Deutsche Bank London and Watson Wyatt Actuaries. Decided to join the family business in early 2005 which is involved in hospitality (pubs, restaurant & nightclub). Founder of Hen and Stag Sligo website (2015) which books several thousand hens and stags into Sligo each year. The website got Sligo Champion Award for contribution to local economy 2017. Catriona has been involved in the digital world since the mid 1990's as a student she worked in Ireland's first Internet café in Dublin. Catriona started her career in leisure management and after working several years in the industry decided to pursue another passion the Internet. 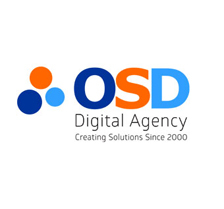 She started her own business OSD in 2000 after spending a number of years as Business Development Manager with Irish Internet Ltd. Catriona has a strong passion for assisting businesses to grow online and is highly skilled in digital strategy, digital channels (including social media, LinkedIn, TripAdvisor), online advertising and analytics and metrics to measure performance online. Catriona has lectured part time in IT Sligo and Dublin Business School as well as providing her own training on behalf of OSD to Fáilte Ireland, VEC's, FAS, Coillte, LEO's to name a few. Catriona's entrepreneurial side is born out of a family business background in the tourism industry. John Carty has worked in professional theatre since 1988. After graduating from the Samuel Beckett Centre, Trinity College, Dublin, he performed with Co-Motion Theatre Company and Graffiti Theatre-in-Education Company before returning to Sligo to form Blue Raincoat Theatre Company in 1991 with a number of other artists. He has acted in most of the company productions to date and has directed a number of plays for the company, including Krapp's Last Tape, Rough for theatre II and Play by Samuel Beckett. He has also directed theatrical productions for County Sligo Youth Theatre, Bealtaine Festival and Cairde Festival and facilitated numerous workshops for Blue Raincoat in the areas of Movement, Text analysis and Stagecraft with Theatre students of Queen's University Belfast, NUIG, IT Sligo Performing Arts & El Submarino, Madrid. John most recently appeared in the Irish Times Theatre Award nominee Shackleton from Blue Raincoat Theatre Company. Marie O'Byrne - Venue Director / Project Producer Marie O'Byrne, Director of the Hawk's Well Theatre in Sligo, has a reputation for the development and production of new artistic collaboration projects from her time spent at glór Irish music centre, her work with Open House festival, Belfast and her time at the Hawk's Well Theatre in Sligo over the past 8 years. Marie's creative direction in terms of her work is progressive with an emphasis on the creation of new collaborative work. She holds a degree in Architectural Science, a MA in Music Technology and a MA in Traditional Irish Music Performance. Marie has produced many large scale performance projects in recent years including, The Second Coming and The Far Off Hills. Martina Hamilton lives and works in Sligo. She has a small family team of master goldsmiths and, together, they have created a variety of award-winning jewellery collections. Many are now stocked by Ireland's most exclusive retailers including Arnotts Irish Jewellery Collective, Avoca Stores, Designyard, House of Ireland, Kilkenny Design, Kilkenny Shop, Steensons of Belfast and The Cat & The Moon. Her designs are inspired by the wonderful, ever-changing Atlantic coastal landscape where she lives. Her collections are available at her shop The Cat and the Moon, at 4 Castle Street Sligo, where they also stock the finest Irish artisan design and craft. Everything in the shop is handmade by studio craft makers living and working here in Ireland. In 2011, she opened the Hamilton Gallery, which hosts a continuous programme of solo and group exhibitions by Ireland's leading contemporary visual artists. She is also an elected member of the board of the Design and Crafts Council of Ireland. BA, MA, NQSW, Programme Director MA in Social Work, Lecturer in Social Work, Professionally Qualified Social Worker. Brenda is a professionally qualified Social Worker, with 13 years' experience in practice, primarily within Child and Family Services, but has also worked in Adult Services. In addition, Brenda has worked as an Independent Social Work Assessor within fostering services and the court system. Brenda moved from Social Work practice to the higher education sector in 2017, Brenda is the Programme Director of the Master of Arts in Social Work at the Institute of Technology, Sligo. Brenda also lectures on the BA in Social Care and the BA in Early Childhood Care and Education at IT Sligo. Brenda is a graduate of the BA in Social Care at IT Sligo and continued on to achieve a MA in Social Work at Trinity College, Dublin. Brenda is currently engaged in doctoral studies at Queens University, Belfast. I am a Chartered Psychologist with almost 20 years experience working in a broad range of areas including; acquired brain injury support, young adult serious offender rehabilitation, working with single parent families, supporting youth diversion projects, child protection, learning and development, mental health promotion and self employment. Currently I work as a rehabilitation psychologist in the National Learning Network providing assessment, intervention, safeguarding and solution focused support services to promote well-being to a range of learners from 16-65 years of age. Naomi Finn - I am a Senior Occupational Therapist working within the mental health services as part of Service Reform here in Sligo. I graduated from the University of Ulster in Jordanstown in 2007. I have over 10 years experience working in a variety of settings such as primary care, psychiatry of later life, community mental health and the acute psychiatric inpatient unit. I have completed post graduate qualifications in Sensory Integration and I am currently working towards an MSc. Fiona O'Loughlin - I am a Senior Occupational Therapist currently working part time in the HSE with community neuro rehab team and part time in private practice. I graduated from Trinity in 2007. I have clinical experience in physical injuries and disabilities having worked in acute care and primary care before specialising in neurology. I have completed post graduate qualifications in psychology and have a special interest in driving assessments, vocational rehab and housing adaptations. A local representative from Finner Camp will be speaking about the various career opportunities available in the Defence Forces. A representative from the navy will be speaking about the various career opportunities available. The Gardaí will be represented by a local community based Garda. Dr. Oran Doherty is the Regional Skills Forum (RSF) Manager for the North West of Ireland. The RSF is a Department of Education and Skills initiative to support collaboration between industry and local education and training providers. This involves determining the current and future needs of industry and providing local education and training providers with this intelligence to further enhance their services to industry. Oran was previously employed by Letterkenny Institute of Technology as the Work-based Learning Co-ordinator. Oran has delivered skills workshops throughout Europe in the last 15 years and regularly undertakes research in the area of industry-education collaboration. Collins McNicholas (Managing Director) In November 2015 Niall Murray was appointed Managing Director having led a (MBO) Management Buy Out of Collins McNicholas along with fellow Directors Antoinette O'Flaherty and Michelle Murphy. Niall joined Collins McNicholas in 1998 to establish their Sligo office and was promoted to the position of General Manager in September 2010. He now has responsibility for managing the Collins McNicholas nationwide office network. Niall is a graduate of Dublin City University Business School, is a member of the Chartered Institute of Personnel & Development (CIPD). Mark Butler is HR Manager at LotusWorks and strives to enhance the employee experience of working with LotusWorks, which in turn supports customer operations as it is a key objective for the company. Mark is committed to LotusWorkers and has focused on developing the organisations Employee Engagement and Talent Capability Development Practices which has resulted in their consistency to provide high performing teams who integrate seamlessly into their client operations. Mark's experience in Talent Management has supported LotusWorks to become an employer of choice for Engineering and Technical professionals and our ability to deliver service excellence to our clients. Darren Carr Veterinary Surgeon, The Well Pet Hospital. Open since July 2016, The Well Pet Hospital is Sligo's new dedicated pet-only veterinary practice. A friendly, modern clinic where you and your pets are looked after in bright, comfortable surroundings. Darren has worked for many years at another practice in Sligo. He is very a very experienced vet and brings a new dimension to pet care in the North West. Teagasc A representative from the Agriculture and Food Development Authority will speak about current developments.. It is the national body providing integrated research, advisory and training services to the agriculture and food industry and rural communities. Quickcrop was set up in 2008 by Andrew Davidson and Niall McAllister in a response to the growing interest people have in producing their own food. They love the idea of being somewhat self sufficient with even the small moves they've made in this direction giving us immense satisfaction. Their gardens all flourish in a natural organic way, we don't use any artificial pesticides or plant feeds and can show you why you don't need to either. They believe the healthiest and best tasting food grow in the best soils, it is the key to successful organic growing. Dr Colin Fowley, a post-doctoral Chemist with many years' experience across industrial and research projects. Dr Fowley is a native of Co. Sligo and obtained his BSc (Hons) degree in Pharmaceutical Science form IT Sligo in 2007. He completed his PhD in the area of Photodynamic and Sonodynamic therapy (Novel Cancer Treatments). During his PhD Dr Fowley served his time between Ulster University under the direction of Professor Callan and the laboratory of Professor Francisco Raymo at the University of Miami. Upon graduation Dr Fowley worked as a Post Doctorial Researcher before joining the Pharmaceutical industry. Experienced in Active Pharmaceutical Ingredient Manufacture and Medical device manufacture, Dr Fowley now lectures Pharmaceutical Science in IT Sligo. My name is Autumn Coady. I am currently working in ADD, Sligo as a Team Leader in the Testing Lab. It is a challenging and fast paced role but there is never a dull moment! I studied Nutritional Sciences in University College Cork. During the course I completed six months placement as a Quality Intern in Abbott's Nutrition site in Cootehill, Cavan. From there I applied for the Professional Development Programme which is Abbott's three year rotational graduate programme. Luckily I got on the programme and began my career with Abbott once I finished college. I did my first 12 month rotation in Operations in the Nutrition Division working with the Third Party Manufacturing group in Sligo. This gave me great exposure to the Abbott Nutrition on a global scale. I am currently in my second rotation which is my supervisory rotation. After this I will do my third and final year of the programme abroad in an Operational Excellence role working on business imporvements. I do not know where I will be placed but Abbott has sites all over the world so it is a very exciting opportunity. 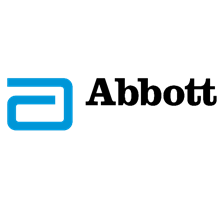 What's great about Abbott is that there are so many diverse career options on offer and there is always opportunities to develop your skills and grow. I am a Microbiologist turned Compliance Specialist employed by AbbVie in the North West of Ireland. AbbVie as a company, has helped me to progress within my area of expertise and further develop and expand my knowledge within the industry, while continuously supporting the delivery of innovative medicines and make a remarkable impact on patients' lives. I hold a B.Sc (Hons) from GMIT in Applied Biology and Biopharmaceutical Science as well as H.Dip in Applied Microbiology from NUIG. I have also completed a M.Sc in Industrial Pharmaceutical Science from IT Sligo part-time. The latter course means that I am QP (Qualified Person) eligible and can further progress within the industry to different roles and levels of responsibility. My career journey at all times as followed a common theme; to pursue subject matter that appeals to me and something that I personally find interesting. In doing that I have found myself somewhere completely different to what I thought when I set out on my career journey however, I am doing something every day that drives and compels me. John studied the ACCA exams at IT Sligo and trained with Gilroy Gannon, the largest accountancy practice in the North West. After becoming a member of ACCA in 1990, he was appointed Financial Controller with Anglo Irish Beef Processors in their Donegal plant. He subsequently joined United Technologies Automotive in their Derry plant as Project Accountant in an asset management role.On his return to Sligo, John worked in practice with his brother Neil, specialising in SME consultancy and advisory. He provided financial management training for SMEs, a role which eventually led him towards accounting education and IT Sligo. John is currently lecturer and Programme Chair of IT Sligo's Bachelor of Arts (Honours) in Accounting, a three-year degree programme which has established a strong national reputation for producing high quality accounting graduates. In 2005 he completed an MSc in Accounting with the University of Glamorgan in Wales, achieving a distinction. John was elected to the ACCA Connaught Panel in 2012 and has been Chairman since 2015. He was elected vice-chair of ACCA Ireland in 2016. Barry O'Flynn is a native of Sligo and CEO of Sligo Credit Union with 37 years experience in the Finance Sector. Sligo Credit Union is a community based financial co-operative with over 20,000 members and a Balance Sheet of €77 million. The Credit Union ethos is to serve members with dignity and respect in a not-for-profit manner. Sligo Credit Union advances nearly €20 million in loans into the local economy each year and has an annual turnover of c €130 million. The Credit Union is controlled by a Board of Directors and a Board Oversight Committee who are ordinary members who give their time on a voluntary basis and operated by a staff of approximately 30 in Sligo, Collooney and Drumkeerin. Ken O'Neill is a joint owner of a financial advisory firm here in Sligo town called Flanagan Ford O'Neill Financial Advisors. He is married to Siobhan and they have 3 boys. After leaving Summerhill in '92 he studied Business in IT Sligo. His career path began as a mortgage advisor with EBS Building Society. He went on to spend a number of years with New Ireland as a pension and investment consultant before joining Flanagan Ford Ltd in 2005 as a Financial Advisor. He has furthered his studies through the LIA gaining QFA and RPA status. From a career perspective his biggest achievement to date is part owning his own business. Ken loves all sports but has a soft spot for Rugby! Lisa grew up in Tralee County Kerry and graduated from Sligo Institute of Technology in 1997 with a BSc in Environmental Science & Technology. She completed an MSc. In Environmental Analytical Chemistry at University College Cork in 2004 and researched phosphorus movement in river catchments. Lisa has worked for numerous local authorities and in many areas of the water industry over the last 20 years including; Laboratory manager for catchment monitoring laboratory on the River Suir, Commissioning and process optimisation of wastewater treatment, Commissioning and process optimisation of water treatment, Implementation of performance management system across a number of regional water supplies. Designing and implementing investigative monitoring programmes for non-compliant drinking water supplies, Drinking Water Safety Plans, Developed health and safety standard operating procedures for multi-disciplinary teams within water services. Lisa is currently lecturing on the environmental science and water services programmes at Institute of Technology Sligo. Chartered Engineer with an Honours Masters Degree in Environmental Systems from Galway Mayo Institute of Technology (GMIT) and an Honours Degree in Civil & Transportation Engineering form Edinburgh Napier University. Sean is a Project Manager with the Environmental/Renewable Energy Department in Jennings O'Donovan. Highly proficient in Project Management, Sean has a Certified Project Management Diploma from the Institute of Project Management Ireland. He was Project Manager for the 95MW Meenadreen Extension Wind Farm in Donegal which won the 2018 ACEI Excellence Award for large category project. Pete Murtagh is currently the Environmental Awareness Officer with Sligo Co. Co. Originally from Co. Mayo, Pete obtained a B.Sc. in Environmental Science & Technology from IT Sligo, and went on to work in Basta Parsons in Tubbercurry as an Environmental Engineer. During his time there he completed a Post Graduate Diploma, via distance learning, in Environmental Protection and subsequently moved on to a position in Environmental Enforcement in Mayo Co. Co. After a couple of years in Mayo, Pete got the chance to work with Sligo Co. Co., initially as a Waste Enforcement Officer, but has also worked in the area of Water Safety. At present he is mainly concerned with local environmental issues, climate change & energy efficiency.